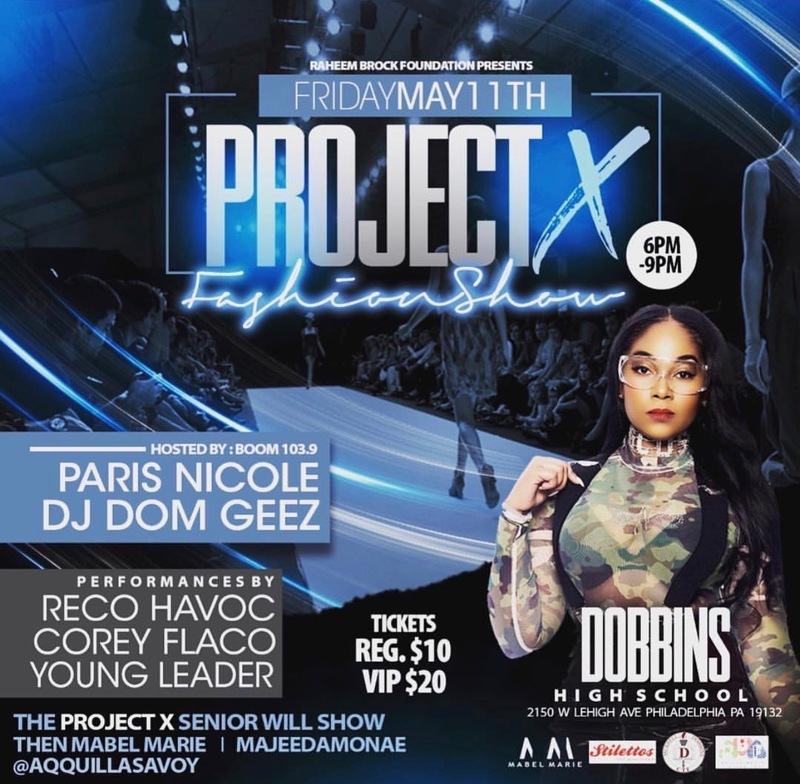 This event is one event you don’t want to miss!! 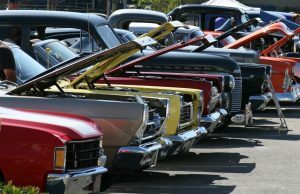 Randolph Technical High School will host its 6th Annual Car Show on Saturday, May 4th sponsored by Universal Motor Sports Association. 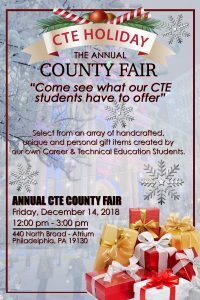 The free event will feature hot-rods, customs, classics, muscle cars, trucks, low riders and special interest vehicles, and all proceeds will benefit Randolph SkillsUSA student organization. 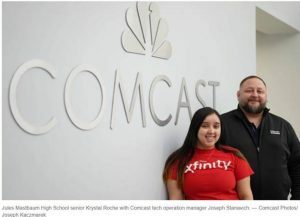 Jules Mastbaum High School senior Krystal Roche with Comcast tech operation manager Joseph Stanavich. 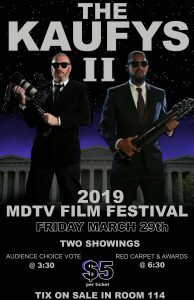 2019 CAPA MDTV Film Festival – Please Join Us!! 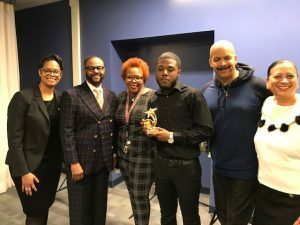 The 2019 CAPA MDTV Film Festival and Kaufy Awards! I’ve been to CAPA Film Festivals and they are always fun and entertaining, so I hope to see you there! 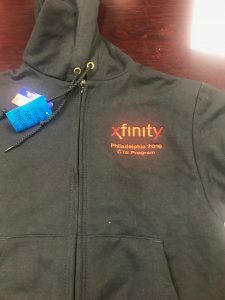 This thermal lined sweatshirt was gifted to all of the SDP/Comcast interns by Comcast. 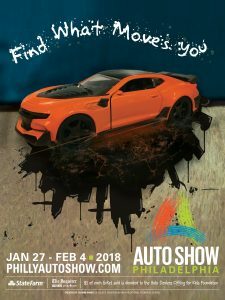 Congratulations to Kensington CAPA student, Carlos Vega, for winning 3rd Place in the 2019 Auto Show Competition! Kudos to you, Jason Bernstein for working with Carlos to submit the winning design. 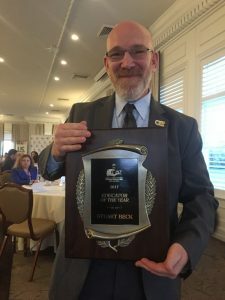 Ex-Wall Streeter found his passion teaching at Northeast H.S. Geo has put in over 100 hours of time designing and creating computer aided models(CAD) since he started at Carver Engineering & Science. He has become an advanced user of Autodesk Inventor professional grade engineering software. 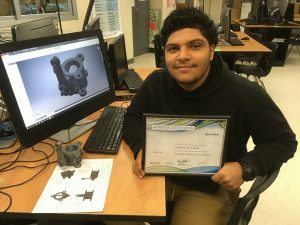 His CAD certification will be a useful credential for engineering college applications and even freelance CAD modeling jobs since a digital badge is provided for his LinkedIn resume. Geo is our school’s 3D printing expert and recently upgraded our engineering lab 3D printer to include capability to print more complex shapes with more exotic materials. 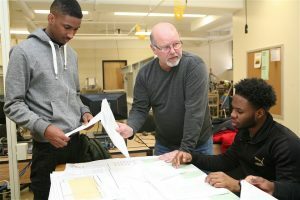 He has taken many engineering courses and participated in numerous engineering and CAD competitions. This knowledge was applied when he designed custom parts for competitive robots and learning advanced CAD features that simulate, optimize and auto-generate design geometry based on physical forces a product experiences. 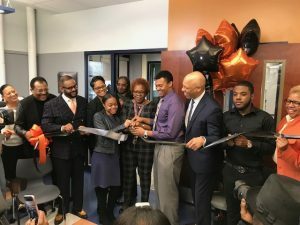 Comcast celebrated its initiative open to career and technical education students within the School District of Philadelphia. The Philadelphia Chapter of the National Organization of Minority Architects (PhilaNOMA) is pleased to announce ” The C.A.M.P. 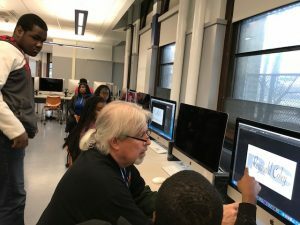 Sustain.ability Architectural Discovery Experience 2018″, a FREE one day event filled with architectural design activities for middle and high school students. Camp Sustain.ability will be celebrating its 10th anniversary as it does every year… bringing architecture to young minds! Save the date for Saturday, July 14, 2018 at Jefferson Universities East Falls Campus. There’s more in store… stay tuned for details. students artwork on display in their store for the 2nd consecutive year. focused on using various mediums and sculpture. 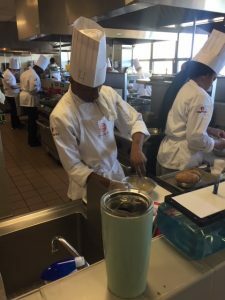 Our Culinary Department will be preparing the refreshments. and Concert tickets. The concert will be held at Lincoln Financial Field. There also be other prizes raffled off that night! 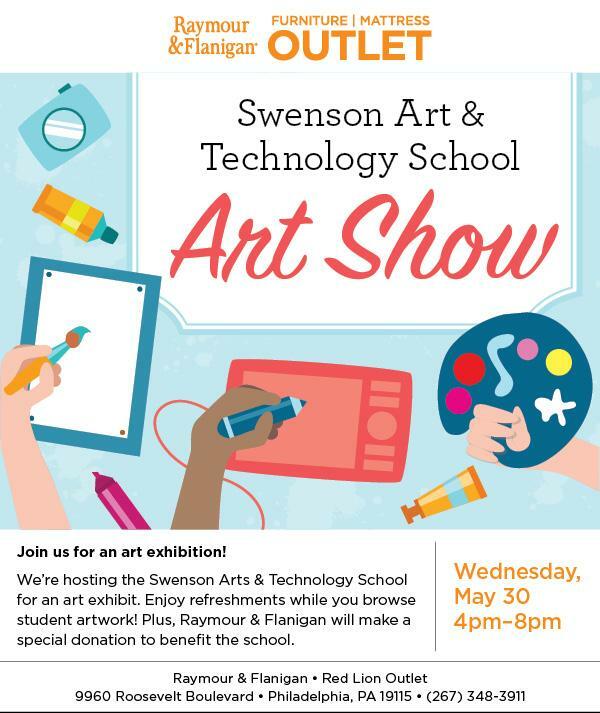 This event is on Wednesday, May 30, 2018 from 4-8pm. Proceeds of the show support student members of SkillsUSA, the national Career & Technical Student Organization. A number of different car clubs will be combining efforts to help support the show with Universal Motor Sports as the lead. We expect to have between 50 and 60 vehicles on display for the free family event. 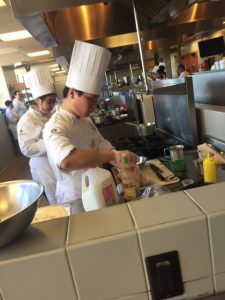 Food will be offered for sale by the students of culinary arts. 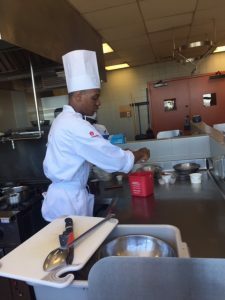 Tours of the school will be offered to see the various CTE programs taught at Randolph. 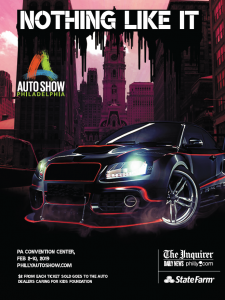 Games, raffle drawings, music, trophies for winners, and great cars will highlight the day. 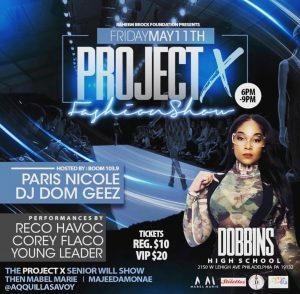 2018 Dobbins Fashion Show is scheduled for Friday, May 11, 2018 at 6:00PM. 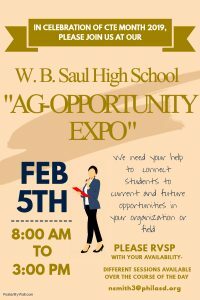 Please make plans to attend this exciting event! 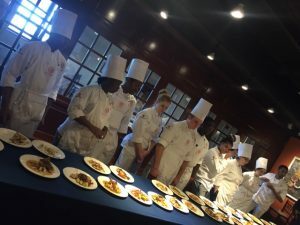 Philadelphia Delaware Valley Chefs Association of the American Culinary Federation. My name is Desiree Hill. 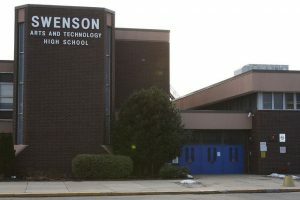 I am in the 12th grade currently attending the Randolph Career Academy, in the Advanced Electronics program. 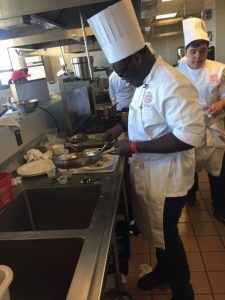 This program helped me accomplish a lot. I have been on important trips. 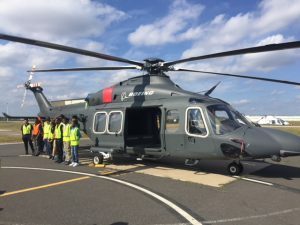 Such as going to Washington D.C and Harrisburg to meet state representatives, and congressional representatives. I have had plenty of opportunities to get jobs and meet with important people. 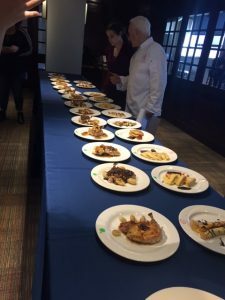 Recently, I went on a trip to the Sugar House Casino, with a few classmates and I went through a panel process. I worked hard to show the judges my determination and willingness to dedicate myself. Through the grace of God, I was hired. I am currently in the internship program at the Sugar House Casino where I will be working on the slot machines. This is what happens when you work hard and meet the right people. 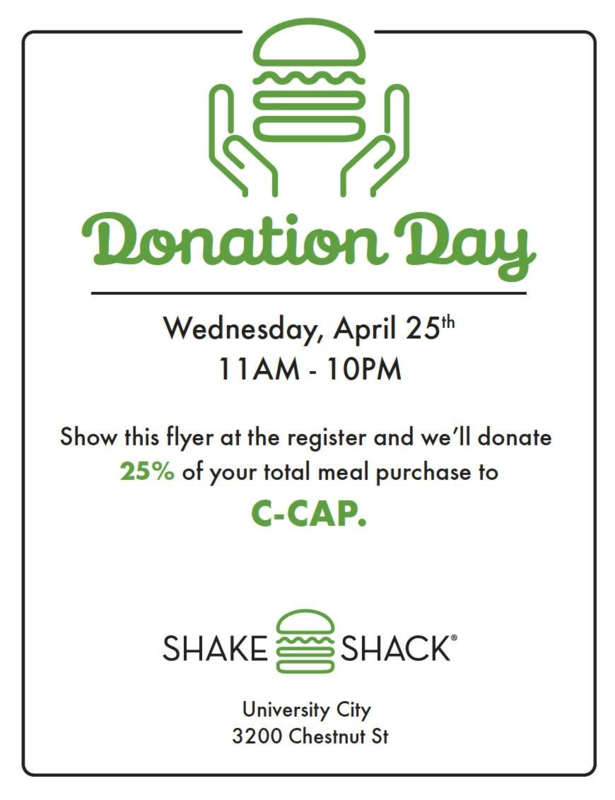 Shake Shack will donate 25% of your purchase to C-CAP (Careers Through Culinary Arts Program). 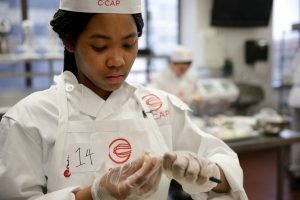 SDP partners with CCAP to provide job training and scholarship opportunities to our Culinary students. 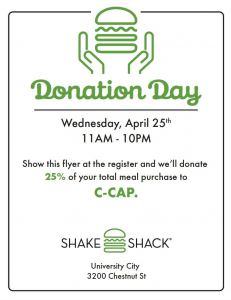 Present this flyer to ANY Philadelphia and KOP locations and 25% will go towards helping our students. Congratulations Mastbaum High School Senior, Jasmin Ramos!! 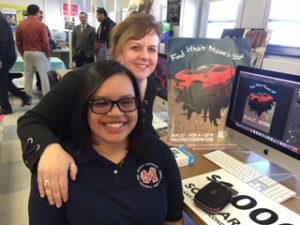 The leaders of the Automobile Dealers Association of Greater Philadelphia (ADAGP) surprised Mastbaum High School Senior, Jasmin Ramos with the announcement that she was the Grand Prize winner for The 2018 Philadelphia Auto Show Poster Contest. 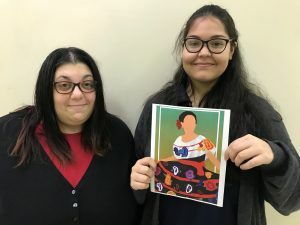 Congratulations Jasmin Ramos and Ms. Katie DeSilvis, Mastbaum Graphic Arts teacher. ADAGP presented her with $1000 scholarship along with other prizes. 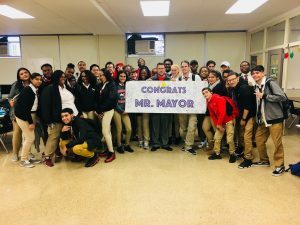 Yaniv Aronson, Film & Video Production teacher at Northeast, is the new Mayor-Elect of Conshohocken! 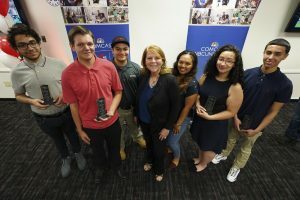 Mastbaum was featured in the latest edition of Comcast Connections! 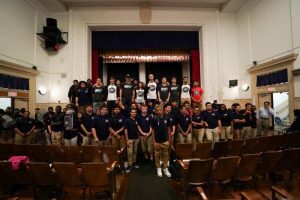 Career and Technical Education Students meet with NASCAR NEXT Drivers at Jules E. Mastbaum Area Vocational Technical School in Philadelphia. 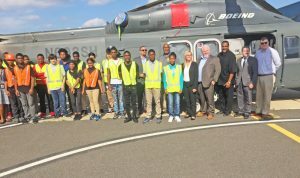 Students from the School District of Philadelphia’s Career and Technical Education program at Jules E. Mastbaum Area Vocational Technical School met with the 2017-2018 class of NASCAR NEXT drivers. NASCAR NEXT consists of nine up-and-coming stars from across the United States and Canada. Each driver has a proven track record of success and possesses the necessary talent and skills to continue climbing the NASCAR ladder. Thanks again to Bob Smith for bringing the NASCAR Next class to Mastbaum. Shawna Vanleer, Digital Media Arts Teacher at Swenson Arts and Technology High School, is a graduate of Moore College of Art & Design and an active alumni member. To recognize her commitment to education and her students, Shawna was recently honored by Moore College of Art & Design with a $20,000 ($5,000 per year for 4 years) scholarship in her name. The Shawna Vanleer Scholarship for Excellence in the Arts will be awarded to her student, Nicolle Marte. 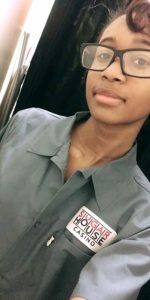 Nicole is an aspiring young artist who demonstrates exceptional artistic and academic potential and has attended the Moore’s Young Artist Workshop (YAW) classes in Digital Drawing Board and Graphic Design. 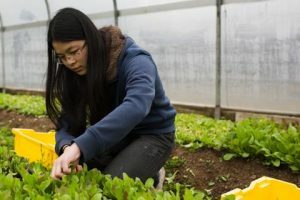 Nicole attended these workshops through scholarships, as well. 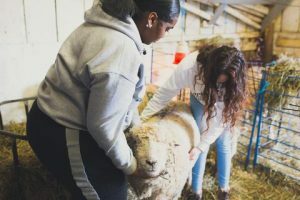 Moore College of Art & Design believes that every young woman should be given the opportunity to learn and grow in an inspiring and supportive educational environment. Congratulations, Shawna and Nicole! David Perlman, Chief Executive Officer Of PRDC Properties address Ben Franklin Advanced Manufacturing Center students at the Heid Building on September 20, 2017. 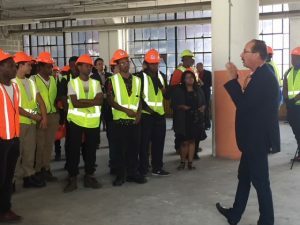 They announced that up to 20 students will intern on the new job site redevelopment project. 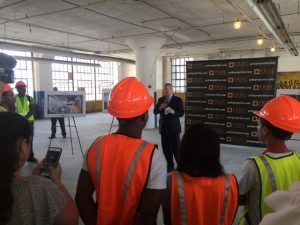 Mayor Jim Kenney speaks to Ben Franklin students at the Heid Building. 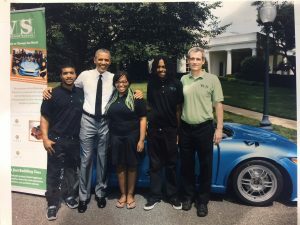 President Obama recognizes The Workshop School at the White House. The program is growing, but not as quickly as District officials had hoped. Equipment costs, for one thing, can be high.